Every tooth is made up of a hard outer later (enamel), a core that supports the enamel (dentine) and pulp, the central area that contains blood vessels and nerves and is located in the root canal. 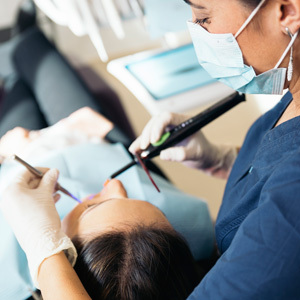 When the pulp of the tooth is infected or decayed, a root canal may be required. The gentle team at Shine Dentists is experienced in endodontics, which involves the removal of infected pulp.